Spread the Mudd! 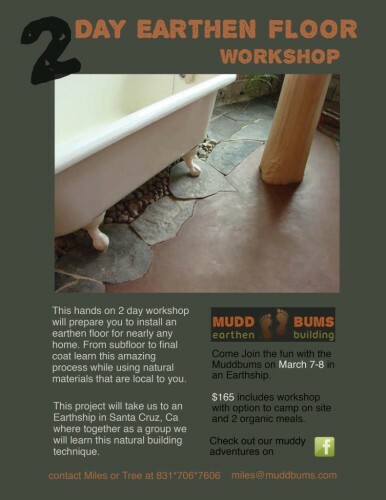 Get on board and sign up for this 2 day earthen floor workshop March 7-8 in Santa Cruz, Ca. 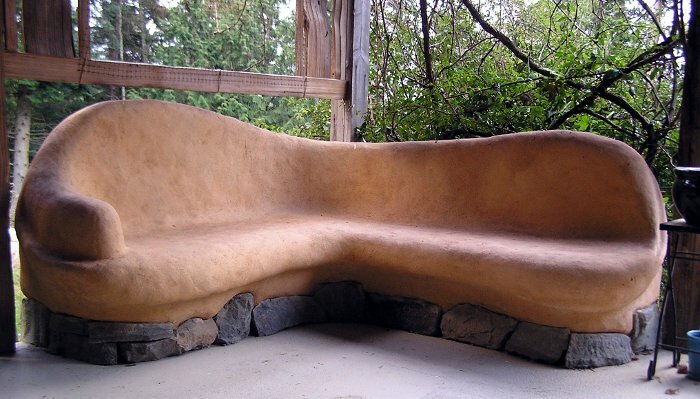 We will be installing this floor in an Earthship. 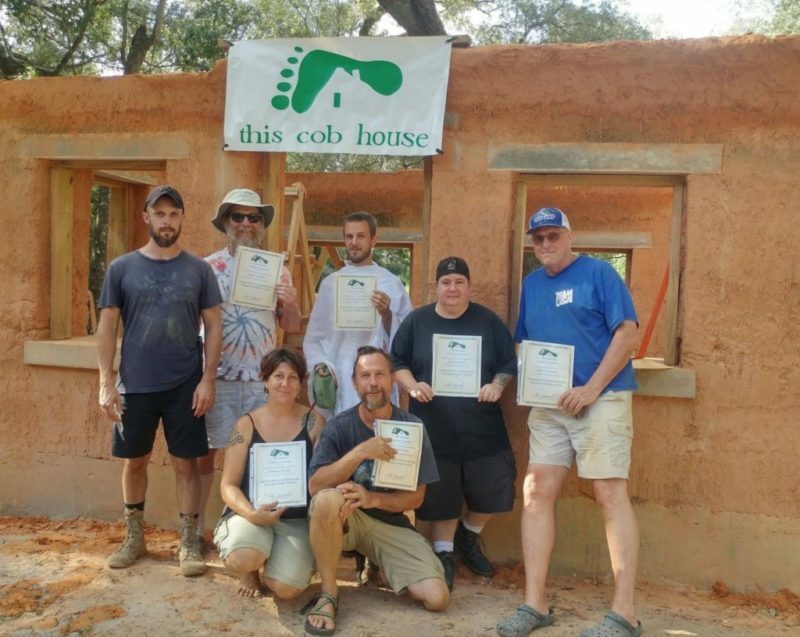 Learn how to install an earthen floor in nearly any home. $165 includes the 2 days of workshop, 2 organic lunches and free camping on site. 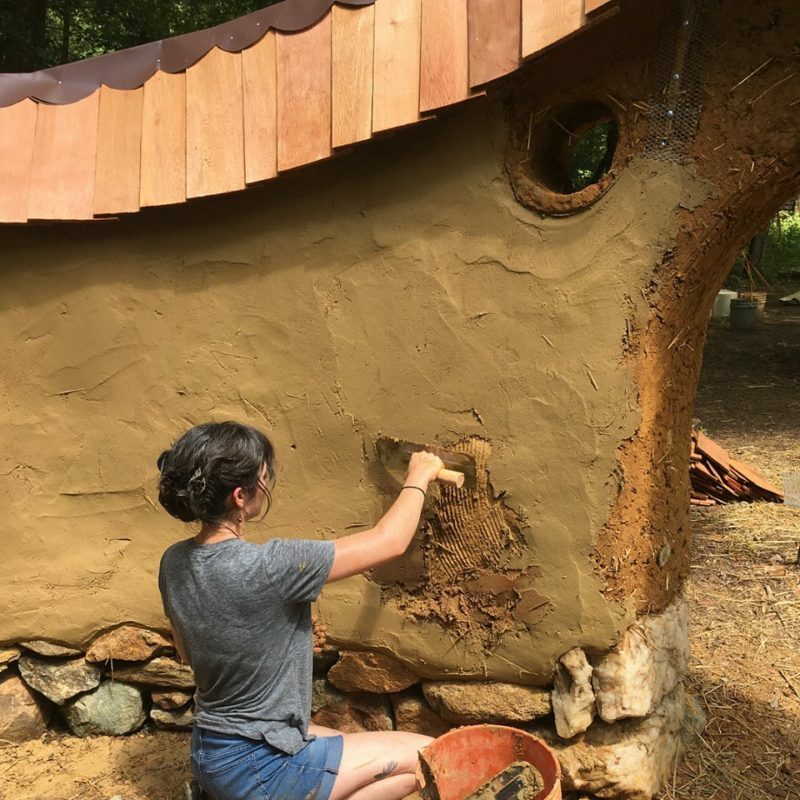 Learn the fundamentals of preparing the subfloor, pouring the earthen floor and sealing the final layer. All hands on for as much or as little as you like. We will be using all locally sourced materials from the Santa Cruz area.